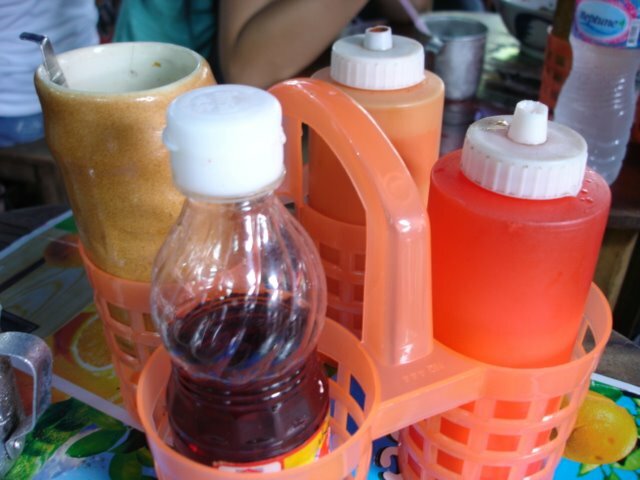 This is a standard feature in most Thai dining establishments. The containers may vary but essentially they contain chilli powder, sugar, fish sauce and a sour chilli sauce. Great with noodles, rice, and whatever else they are serving.